Before a defendant can be convicted in a criminal case, the trial judge is responsible for doing all he or she can to ensure that the defendant’s constitutional rights are protected. All defendants facing misdemeanor or felony charges are legally entitled to a competent lawyer to represent them at their trial. The trial judge decides as to what evidence will be admitted to be heard by the jury and what evidence will be excluded. The judge must decide what jury instructions are read to the jury, which will then decide guilt or innocence. To be found guilty, all 12 jurors must unanimously agree on the verdict. When a defendant is convicted, he has the right to appeal his conviction by filing a notice of appeal within 60 days. If the defendant is indigent, he is entitled to a court-appointed appellate lawyer. The appellate lawyer looks for any possible legal grounds to raise in the appeal. The burden of proving there are legal grounds for an appeal is on the defendant (who is referred to as the appellant in the appeals court). The appeals court must find that the judge committed a “manifest abuse of discretion” in order to overturn any ruling that he made. What this means is that so long as the judge did not make a clearly erroneous decision as to any specific issue, his decision will be upheld. Another difficulty an accused faces on appeal is that even where the appellate court finds that there were errors made during the criminal trial, the appellate court must find that the error was so serious that it believes that there is a “substantial likelihood that a different verdict would have been reached had the error not been made.” In effect, this means that the appeals court can find that many errors were made by the trial judge or the prosecuting attorney, but if all the errors don’t reach a level where the court of appeals feels the mistakes altered the decision of the jury, then the conviction will not be reversed. Another major problem that occurs is that errors can be made, but the accused’s trial lawyer failed to object to the evidence or did not raise objections. If the trial lawyer did not object, the appellate court cannot consider those errors. Finally, the truth is that most persons who are convicted unanimously by a jury are in fact guilty of the crimes for which they were convicted. Often, the evidence is overwhelming. In many cases, there are confessions or admissions. In other cases, there are positive DNA findings or other physical evidence that makes it highly likely that the accused is guilty. Court of Appeals Justices are seasoned lawyers before they become judges. Most have been trial judges for years before they are honored to become a court of appeals justices. When they reach a decision to reverse or affirm an accused criminal conviction, they do so based upon the law that they are bound to uphold. They do so without consideration for the feelings of anyone, including hurting the feelings of the trial judge or any other person. However, this does not mean that Court of Appeals Justices do not get it right all the time. This is why we have the California Supreme Court and the U.S. Supreme Court. In some cases, the Court of Appeals decision will be to uphold the conviction and then the California or U.S. Supreme Court will reverse the conviction and provide the defendant the chance at a new trial. That is why our experienced attorneys at Wallin & Klarich urge all defendants to continue to pursue all of the available appellate remedies even when it appears the odds are stacked against them. We have been handling appellate matters for more than 35 years, and we have seen first-hand that you should never stop fighting for your freedom. It is extremely important that you have an experienced criminal appeals law firm handle your appeal. Your attorney must review every page of the trial transcript and the court reporter’s transcript to find every possible appellate issue. It could be one single issue that your lawyer finds that could make the difference between losing your appeal and spending years in prison or receive a new and fairer trial. If you or someone you love has been convicted at trial, you do not have to give up fighting for your freedom. A skilled appellate attorney can review your case and determine if you have grounds for an appeal. 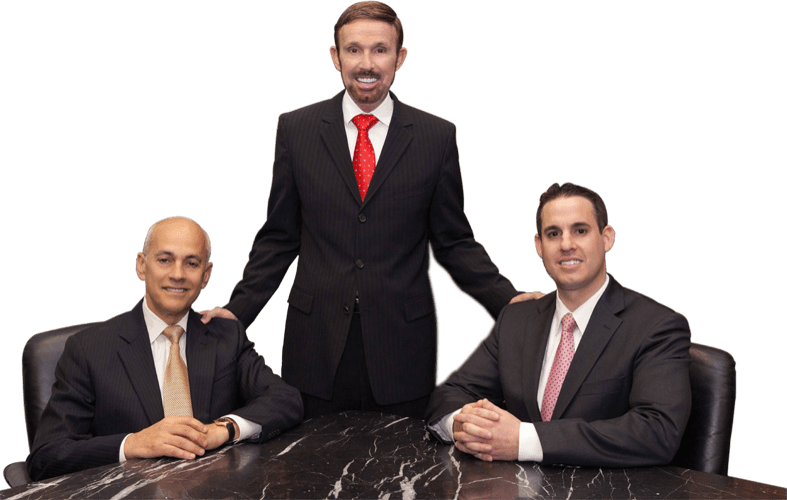 At Wallin & Klarich, our appeal lawyers have been successfully representing clients in appeal matters for more than 35 years. Let us help you now. With offices in Orange County, Riverside, San Bernardino, Victorville, West Covina, Torrance, Los Angeles and San Diego, our appeal lawyers are available to help you no matter where you work or live. Call our appeals law firm today at (877) 466-5245 for a free phone consultation about your case. We will be there when you call.